Cairo, Egypt and New Orleans share the same latitude, 30 degrees, which makes both towns sort of steamy and subtropical – places where vegetation and the spirit sprout, even in the winter. That was certainly the case in 1871 when an event in Egypt would forever become part of something that was germinating in New Orleans. To celebrate the opening of the Suez Canal, the ruling “Khedive” (That’s what the Viceroy was called under Turkish rule) had commissioned an opera to be staged at the Cairo Opera House. Chosen as the composer was one of Europe’s biggest names, the Italian, Giuseppe Verdi. After some delays, the premier performance was staged Christmas Eve of that year. Appropriately, Verdi’s opera had an Egyptian theme set around the tragic story of a captured Ethiopian princess (Aida) who fell in love with an Egyptian military commander. The romance created a dangerous conflict with the pharaoh. Verdi would compose a lavish opera filled with what would become some of the genre’s most cherished music, none moreso than the stunning piece that was performed in Act II, Scene 2. Beginning with the blare of trumpets a cast of seemingly hundreds, many dressed as soldiers, royalty or plain Egyptian folks moved in procession across the stage to the stirring sounds of what was to be known as the “Triumphal March” or more commonly the “Grand March” from "Aida." Never had music captured the spirit of triumph more than Verdi’s masterpiece march. If opera was war Egypt could have ruled the world. His Majesty’s first parade was in itself a triumphant march, so much so that the procession became an annual event eventually to include its own ball on the evening of Mardi Gras where a debutante, to be known as the Queen of Carnival, would promenade with Rex around the floor. 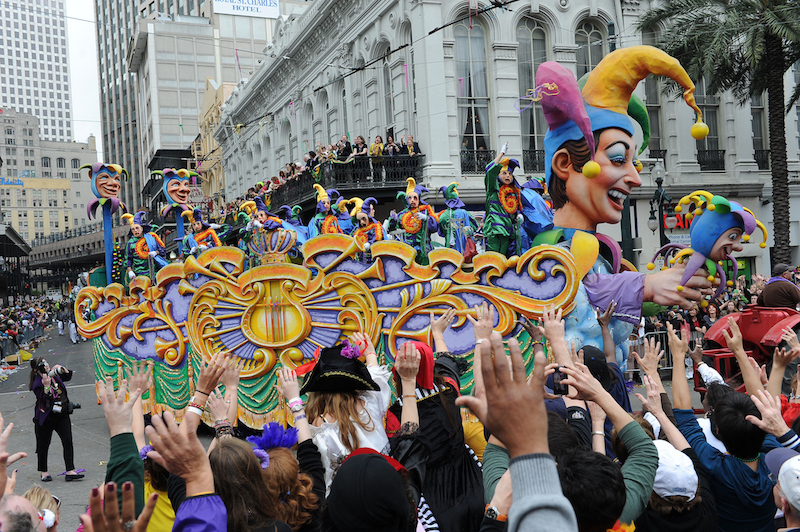 That season created the setting for a most unusual opera incident: Mardi Gras 1881 was on March 1. According to Belsom’s research, Rex had special plans for the night before: “The newspapers reported that on the previous evening (Feb. 28), during a performance of ‘Aida,’ Rex made an appearance at the French Opera House in mid-performance. 'Before the third act was over, being escorted to the royal box by de Beauplan, a guard of honor and lackeys with torches, to rounds of applause, and the royal anthem ‘If Ever I Cease to Love,' which the orchestra struck up.’” Thus when Rex and Aida first met, Rex’s anthem, for the first and only time, was injected into Verdi’s Nile scene. There was another historic development in 1882. That’s when the Rex organization and the Mistick Krewe of Comus first staged what would become familiarly known as “the meeting of the courts.” We do not know for sure what music was played but we do now that by that year the "Triumphant March" was a hot number perfect for such occasions. We know for sure that in modern times Rex responds to two marches, his own, “If Ever I Cease to Love” and the march from Aida as he and Comus and their Queens circle the floor in what is Carnival society’s high holy moment. By circumstance Rex and Aida are contemporaries having made their debuts only 51 days apart in different parts of the world but along the same latitude and each in recognition of ceremony and royalty. In the world of Carnival Rex is a powerful monarch. And the arrival at the opera house showed just how powerful. He was able to interrupt an opera with the obvious support of the event’s organizers. One might suspect, as is true today, that the men of Rex were on many important boards including, in this case, having some stroke in the theater. For whatever the connections might have been, the presence of "Aida" seemed to have touched off a bout of Egyptianmania around town. One more curiosity: Depending on who is doing the counting, the debuts on "Aida" and Rex are even closer than originally believed. Giuseppe Verdi did not consider the Cairo performance to be the official premiere. He protested that the event was a closed affair and not open to the public. To Verdi the real premiere was when his opera opened at the glistening LaScala opera house in Milan. Not only were there general tickets sales but, unlike in the Cairo presentation, superstar Teresa Stolz – an operatic sensation who Verdi had in mind when he wrote the lead role – performed. The date of that event was Feb. 8, 1872, five days before the Rex debut. Historic parallels are little more than a collection of trivia without learning from them. The sagas of "Aida" and Rex give a glimpse of the sense of style among the better-educated men of the Victorian age. Schooled in the classics and raised with a sense of mission their life was also filled with battles. Aida, the character, suffered from slavery, lost love, discrimination and war. The men of Rex, living in a period still referred to as “Reconstruction,” had in the previous decade experienced the hardships of a great civil war. Now was the time for peace and civility. For the moment two rivers, the Nile and the Mississippi, flowed as one.